Save the pictures for full res. Follow my guide on how to open the Wii system to find out how to remove the front panel. 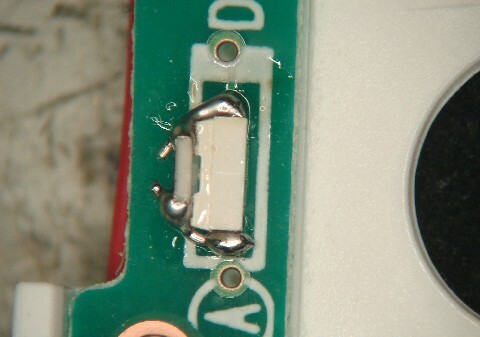 When you have done this, detach the front PCB by removing the three screws. Turn the PCB around and lift off the light guide. Now you can find the sidefire LEDs on each side of the light guide. The LEDs are located here. Replace the LED you want. The driver feeds both LEDs in series so I adjusted the brightness by adding a resistor in paralell to the LED. This is not fun as it burns up the calculated current. But It's an easy way to adjust the brightness.